To celebrate GOLF MONTH Surfers Paradise Golf Club in association with Golf Australia are hosting a fun afternoon of Golf for all to enjoy. 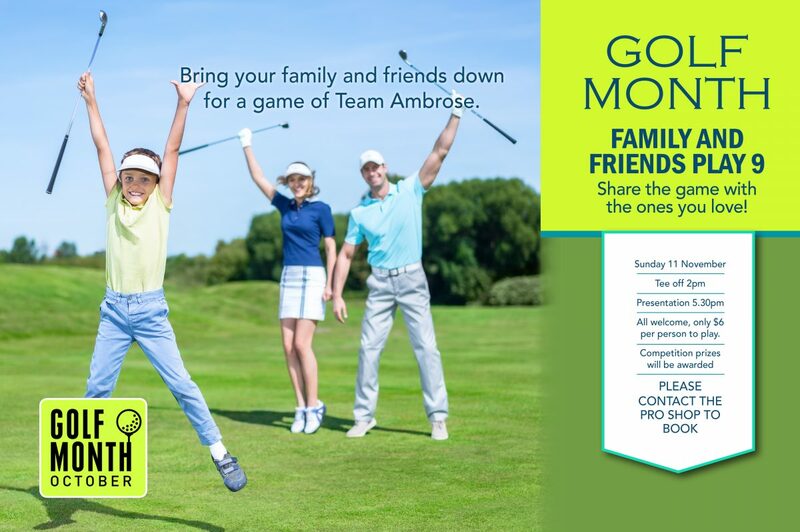 You and your family and friends are invited to come along to the club for a game of Team Ambrose. Play 9 holes with your loved ones and show them why you love the game of golf! Only $6 per person to play.